Leading Manufacturer of flange mount hydraulic cylinder, hydraulic block cylinder, double acting cylinder and single acting push type from Dewas. 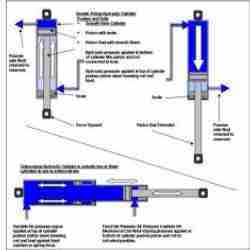 We are consistently delivering a quality assured range of Flange Mount Hydraulic Cylinder. Offered cylinders are used in various application, such as marine and automobiles. Offered range of adjustable cylinders are highly demanded by our valuable clients due to the excellent properties, precise designed and of the best quality. 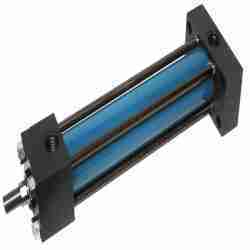 These adjustable cylinders are used by various industries to achieve the best results. We are offering a high quality range of Hydraulic Block Cylinder to our most reliable clients. Being a quality-driven association, we offer a qualitative range of block cylinder for automobile Industry. These block cylinders are appreciated for their vigorous development. Moreover, these block cylinders are widely used in various industrial applications. Offered range of product is made from optimum quality material. As a renowned organization, we are engaged in offering a wide range of Double Acting Cylinder. 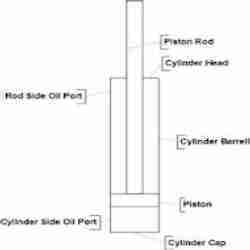 Moreover, known as an unbalanced cylinder, it exerts more force in one direction than in the other which is primarily due to thee piston rod preventing fluid from acting on the full area of the piston on one side. Offered products are stringently tested on various quality parameters and are authenticated as per the international standards of quality. With our efficiency and vast knowledge of the industry, we have come up with a wide array of Single Acting Push Type. We bring forth for our clients a wide collection of single acting spring return cylinders. These products are the perfect choice to be used in general purpose pushing and lifting applications. The offered range of product is manufactured from high quality components. To meet the exact requirements of various clients, this product is available in varied specifications.